Christmas is hands down the very worst time of the year to travel. Subways are delayed, taxi drivers are even more irritable than usual, train stations are packed, and airports are full of passengers trying to sneak oversized carry-ons bursting at the seams with presents onto planes…it’s just an all-around bad time for everyone. 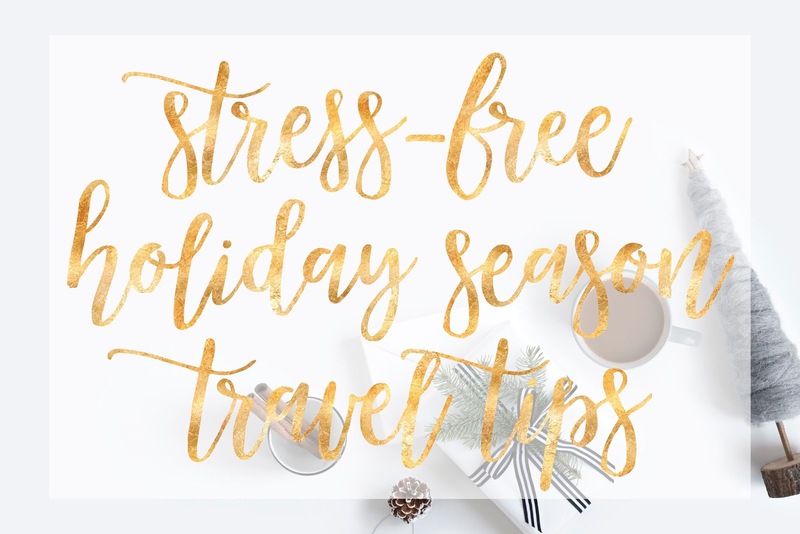 Today is the busiest travel day of the year, so I thought I’d share some tips on how to make your journey back home for the holidays as stress-free as possible. Between my extended stay in the UK and my move to Toronto, I’ve been travelling home to Montreal at Christmas for eight years. You’d think I would have gotten used to it by now, but I really haven’t. I hate it. 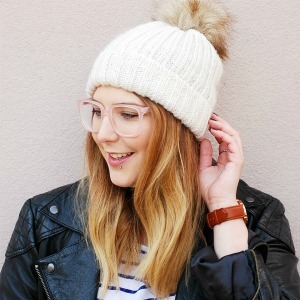 I’m a last-minute trip planner (though I prefer the word spontaneous), a terrible overpacker and I don’t do crowds, so travelling around the holidays is a nightmare scenario for me. I took the train home on Tuesday and made it back in one piece and with minimal stress. I didn’t spend a fortune on tickets and I also managed to pack everything I wanted to bring into a tiny carry-on suitcase. It didn’t exactly go smoothly once I was sitting in the train though, because I forgot my headphones and was forced to spend five whole hours listening to the woman sitting next to me describe her love life, her professional situation and her gluten-free diet in great detail to every single contact on her phone. You win some, you lose some, right? Planning is the key to every single item on this list, but every trip starts with planning your itinerary. Whether you’re thinking of renting a car, taking the bus, buying train tickets, or flying, you need to book your transportation well in advance, so I guess this is more of a tip for next year (oops!). Travelling around Christmas time is expensive, and it only gets more expensive the longer you wait. Travel companies and booking agents know that you’ll end up buying the tickets no matter what the cost – you have to – so the prices will just keep going up. And believe me, I’ve learned this lesson the hard way. Start thinking about it as soon as you can figure out when your last day of class or work will be. Then, think about how you want to get to the airport or the station. If you’re taking a taxi, it’s a good idea to book it the night before. If you’re taking the subway or the bus, check for planned disruptions on your route a few days before and for unexpected closures on the day. Another lesson learned the hard way – always, always, always have taxi money for if-I-don’t-leave-now-I’m-going-to-miss-the-plane emergencies. There’s nothing that adds to the stress of travelling at the busiest time of the year like carrying a suitcase that could fit a whole adult human. I bought myself a carry-on suitcase a few months ago, and my goal is to always, always travel with a small suitcase. It’s so liberating, you really should try it. I packed my gifts in a separate tote this time around and send the ones ordered online straight to my parents’ house, though depending on the way you’re planning to travel and where you’re going, that may not work for you. I am a recovering overpacker, so when I pack I like to make a list, fold everything neatly on the bed, and have a good hard look at what I think I need versus what I truly need. I often find that I don’t actually need a whole blush palette, two pairs of ankle boots or three almost identical black dresses when I travel. To minimize stress, be sure to pack at least twenty-four hours before you’re supposed to leave, if not more. It’s also a good time to check in for your flight, book a taxi, print your boarding passes or tickets, and find your passport. Also make sure you’ve downloaded all the books and episodes of Grey’s Anatomy you will need to get you through your flight or train journey…never trust the station’s or airport’s wifi. Getting to the station or airport early is the best way to make this hellish day a little bit easier. Account for the time it will take you to get where you’re going (including any possible disruptions), figure out what time you need to leave your home, and leave an hour early. I’m always, always last-minute getting places when I travel and it’s always a very stressful and sweaty experience, but this year I had time to buy snacks, coffee, and magazines, read a few pages of my book, scroll through Instagram and Twitter, and I was still in line to board the train with ample time to spare. Magical, and not a drop of sweat in sight. No ones wants to drink overpriced train coffee or eat gross airplane food. Getting to the airport or station a little bit early means you can stock up on water, snacks, and get a cup of decent coffee from an actual coffee shop. To save a bit of money, I usually pack my own food, like crackers, granola bars, and grapes. Now that you’re sitting in your seat for however many hours, there’s nothing left to do but relax. Or work…but I personally can’t get any work done in a rolling or flying tin can, surrounded by hundreds of strangers. I like to just sit back and watch my previously downloaded movies and tv shows (see tip #2), take advantage of the in-flight entertainment, listen to soothing music, and read fashion magazines. And don’t forget your headphones, you’ll need them to tune out your chatty seatmate.